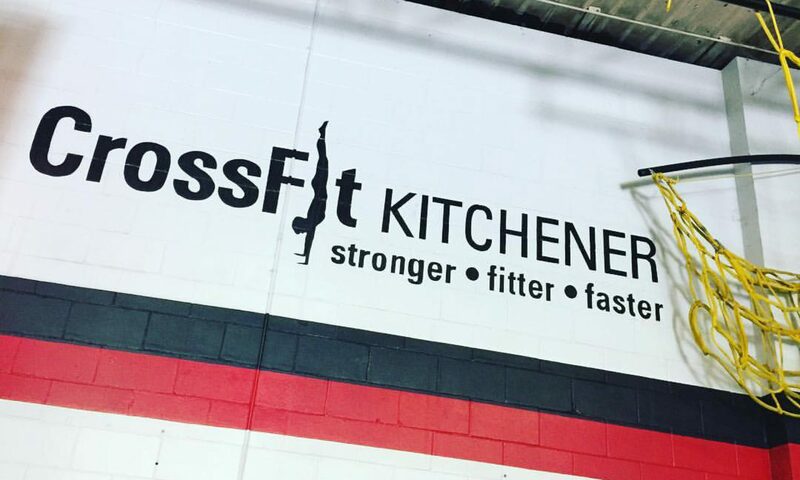 This October I celebrate 2 anniversaries: I joined CrossFit Kitchener 2 years ago and I quit smoking 1 year ago this month! This is my second “kick-at-the-can” as I had been a member at several CrossFit gyms in the region years prior. But a lot of time had passed and I found myself out of shape and needing a change. I had just finished a time in my life where I made my living as a singer-songwriter. Lots of late nights in bars and clubs, drinking, smoking, and eating bar food. Over a 5 year period I slowly gained 50 lbs! It wasn’t a lifestyle I wanted to continue. I have always battled with my weight and being active and healthy has been a life long struggle with many highs and lows. Although I was very intimidated at first, the friendly staff and members at CFK helped to make me feel welcome. I was a slow starter, but this year I have been coming to the gym regularly and seeing the gains that accompany it; weight loss, smaller clothing, bigger and better PR’s, and generally feeling stronger, more agile, and more athletic. I will make it onto that 500m row top 10 list sooner than you think! Perhaps the biggest thing is that I feel less self conscious when coming to the gym. What started as feeling intimidated and nervous has turned to feelings of pride. Now instead of thinking “I have to go to CrossFit today” I think, “I can’t wait to go to CrossFit today”! I compare my history of activity and exercise like riding a wave, and right now I’m riding high and enjoying every minute of it. Coaches’ Notes: One partner begins walking with both KB. When they need to put them down, both partners grab one KB and perform a round of single arm KB “DT” on the right and then the left. Afterwards, the second partner may continue walking. Their partner should walk alongside their buddy.